On this tour we will discover Enna, the highest city of Italy and some countries around it. Let's start form the highest and most important point: the fortress, where once stood the temple of the Goddess Cerere and where we can look an amazing panorama on the middle of Sicily. Then we discover the Castle of Lombardia, the Tower of Federico, the last medieval city gate, Porta Janniscuru. We will go to the magnificent Cathedral, the abode of the Patron Saint Maria SS. della Visitazione. We will discover Varisano Museum, with its archaeological finds and the beautiful church of S. Marco le Vergini with the baroque stucco. We will discover the way the Holy Week is celebrated. It is now famous all over the world for its amazing rituals and its pathos atmosphere. We will go at Pergusa's Lake and Floristella-Grottacalda Mining Park with the rests of ancient mine. At the last we will go to Piazza Armerina, we will visit Mining Museum, the Cathedral, Palazzo Trigona,Pinacoteca Comunale and the most famous and the amazing estate, Villa Romana del Casale, UNESCO's patrimony. 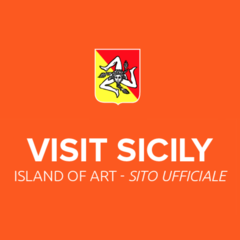 This audio guide was created by Patrizia Fundrisi of the Enna Tourist Service and is part of the Sicilia Beni Culturali project for izi.TRAVEL coordinated by Elisa Bonacini, University of Catania. Thanks to the students of the Enna Linguistic Lyceum A Lincoln for all the translations. Ho scoperto dei posti che non conoscevo, molto utile!